Are you wondering what essential items you need to pack for your Disney Cruise? 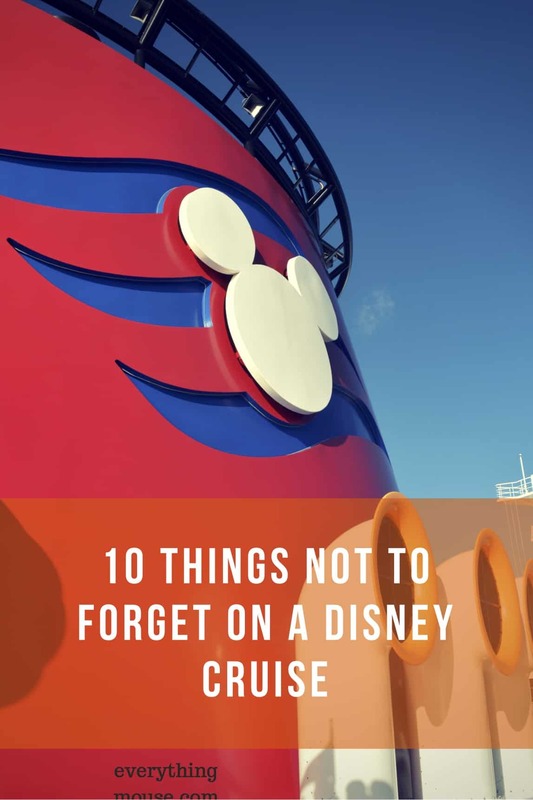 If you want to know what to pack for a Disney cruise we are seasoned cruise veterans who have packed for multiple trips and learned by our mistakes. 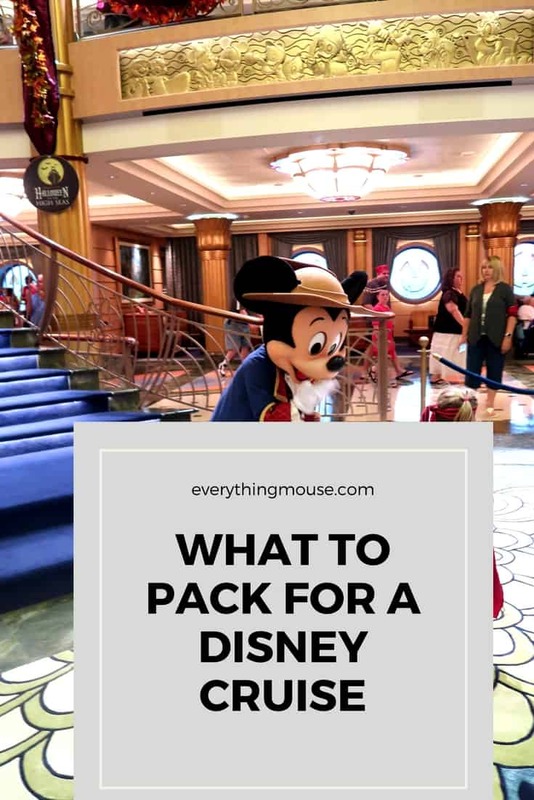 This easy to follow guide of Disney cruise packing essentials will make planning for your trip super easy. 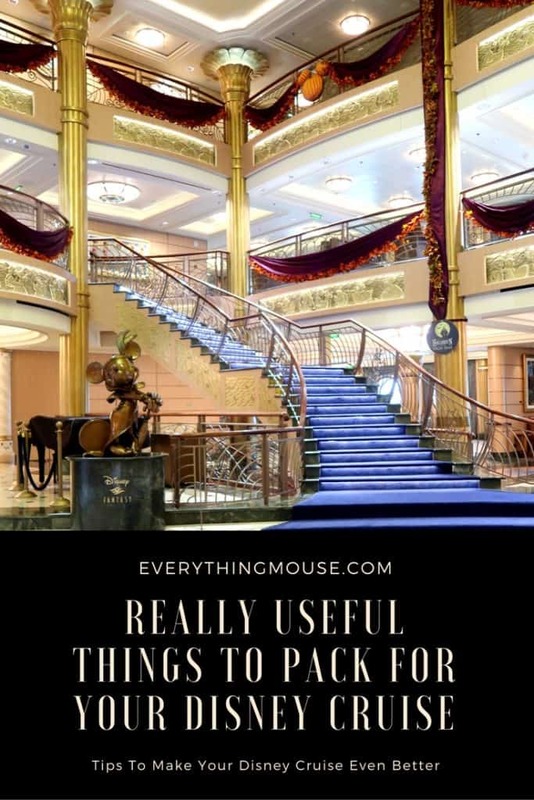 Here are some things that you will find really useful for your Disney cruise packing list. If there is one packing tip that I can pass on to Disney cruisers this really is it! 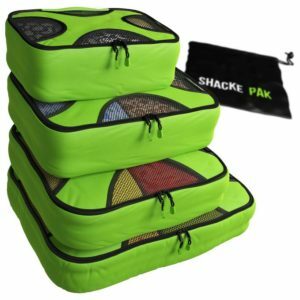 I think it revolutionized our packing and just made things much easier. This is a must have item if you want to make your Disney cruise packing so much easier. At home, it makes packing simple. You can assign each packing cube to a certain category. This means you know that you have enough socks, shirts, swimwear or whatever. Then when you get to your stateroom you can just unpack direct into a drawer or cupboard. No more searching for lost socks. This great thing about this particular packing cube set is that it it comes with a laundry bag. Whilst you may not want to do laundry on a Disney cruise, it is useful to have a bag so that you can just pack it into your suitcase when you leave the ship. How many things are you taking that need charging? Just think how many USB chargers you will probably need – all at the same time. Disney cruise line staterooms are very well designed, but they definitely do not have enough wall sockets. You are going to be fighting over who gets to charge their phone first. Disney cruises does not allow extension cord or surge protectors on board. Check here for a complete list of prohibited items. Fortunately there is a solution which doesn’t take up much room in your suitcase and is always on our Disney cruise packing list. Disney cruise ships are modern and have all the latest cruise technology to keep the movement of the ship to a minimum. However, there is a small chance that you will experience sea sickness. I have sailed in storms and very close to hurricanes and no one in our family has ever felt sea sick. However, just to be on the safe side we do pack sea bands and Dramamine. This is an essential item. You can buy sunscreen on board a Disney ship, but you will pay a premium for it. Never underestimate how quickly you or your kids can get sunburn. It really isn’t worth taking the risk. Always have sunescreen on your Disney cruise packing list. It’s a good idea to pack it in your carry on bag so that you have it as soon as you get on the Disney ship. Pack it in a zip lock bag just in case it leaks.
. Jelly fish are lurking in the clear blue seas of the Bahamas and the Caribbean. The pain of a jelly fish sting is overwhelming. It is essential to have in your excursion bag as it will provide instant relief for jellyfish and bug bites. You probably will never need it. However, if you do, you will be forever thankful that you packed this in your Disney cruise bag. It doesn’t take up that much space in your bag. One of the many great things about a Disney cruise is the free soda which is available 24/7. Go to the pool deck to get your refill any tie of day or night. 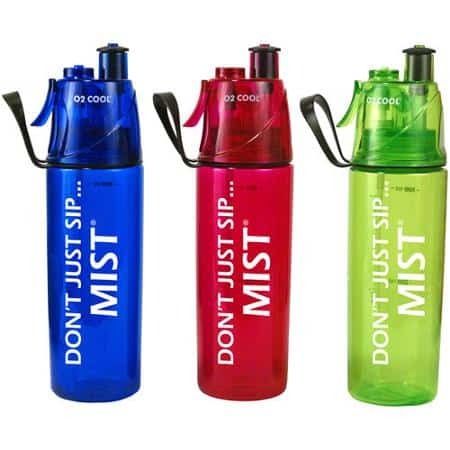 There are cups available, but it is a good idea to bring your own reusable water bottle. Binoculars are a great thing to take with you on a Disney cruise, particularly if you are fortunate enough to have a balcony stateroom. They are essential to have on a Disney Alaska Cruise. However, on many of the other Disney cruises you will see dolphins and whales. They are nice to have when you are coming into port as well. Good binoculars do not have to be expensive. Even if you think that you have been careful with the sunscreen, sometimes you still get burned. Aloe Vera Gel helps a lot and we always pack this for a Disney cruse. This very versatile stand by can also be used as a moisturizer or a conditioner for your hair. Disney cruise lines has a very relaxed policy about wine and beer that you can take on board. Many cruise lines do not let you take any on board with you. However, Disney cruise lines will allow each adult over the age of 21 can take up to 2 bottles of wine or 6 bottles on beer on board. You will not be charged if you drink this in your stateroom. If you want to drink your wine in any of the Disney cruise restaurants you will be charged a corkage fee of $25 per bottle. Disney Cruises – Can You Really Take Alcohol on Board? Clothes crease in your suitcase. No cruise line allows you to have an iron in your room – it’s a fire risk. You can use the iron in one of the Disney self service laundry room. However, who really wants to have to iron on vacation? and you can deal with most creases without any effort. are a great thing to take on any vacation. You really don’t want to have to do laundry on a Disney cruise. However, sometimes you need to. There are self service laundries on board all of the Disney ships. to save costs and also to save on the chances of being allergic to the cruise washing powder. Laundry pods are great to take with you as they are easy to pack and do not take up much room in your suitcase. 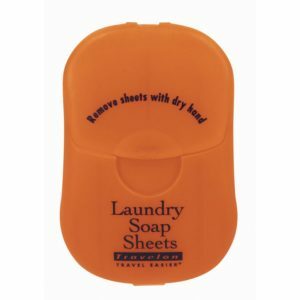 are a great idea as they take up almost no space and are good for quick washes in the stateroom sink. Which items do you think are the most useful to take on a Disney cruise?